VIMTA is India’s leading provider of food testing and analysis services. With a pan India network of 10 state-of-art food testing laboratories, we have one of the most extensive food testing capabilities and infrastructure in the country. We support quality and safety testing requirements of various food industry segments through not only routine chemical and microbiological tests, but also through specialized tests/services for Allergens, GMOs, Dioxins & Furans, Trace Heavy Metals, Label Claims, Radioactive isotopes, vitamins and minerals. We also offer custom method development and validation. Latest technologies, strong quality management systems, experienced Analysts and pan India network of laboratories are deployed to deliver accurate and speedy results to our customers. VIMTA offers reliable microbiological analysis catering to all stages of food production starting from raw material to final product, and for cooked foods. We also offer services for sample collection, environment monitoring and validations. Methods followed include Indian Standards (IS), ISO, USFDA-BAM and AOAC. Food authenticity is all about whether a food matches its description. The description of food refers to the information given such as its name, ingredients, origin or processes undergone etc. Since 1994 the USFDA required that all food be labeled with Nutrition Facts. Codex Alimentarius published a document on the food nutrition labeling which is recommended to be followed by the food industry internationally. Since 2011 FSSAI, India, has also adopted these standards for nutritional labeling. VIMTA offers the following two packages for nutritional labeling. A mycotoxin is a toxic secondary metabolite produced by organisms of the fungus (mold) kingdom and is capable of causing disease and death in both humans and animals. It's estimated that there are thousands of mold species, of which close to 200 pose serious health risk to humans and animals. Mycotoxins can severely impact the immune system, cause cancer and other diseases. Mycotoxins can appear in the food chain as a result of fungal infection of crops, either by being eaten directly by humans or by being used as livestock feed. Foods that are susceptible to contamination by mycotoxins include Peanuts, Spices, Cereals, Maize, Pistachios, Animal fodder etc. VIMTA uses internationally methods including AOAC for analysis of 11 Mycotoxins. Plants develop thousands of natural compounds that protect them against threats to their existence. Out of these compounds some are toxins called Natural Occurring Toxins (NOTs). Some toxins could cause illness in humans if they were concentrated at high levels and consumed in large quantities. VIMTA offers following tests in this category. Pesticide residue refers to the chemicals that remain on in food after they are applied to food crops. The use of pesticides has gone up significantly over the past several decades as it increases yield of crops and makes them resistant to disease and pests. Overuse of pesticides lead to accumulation of harmful chemical residues in plant products. Pesticides work their way through the food chain by accumulating in the body fat of living organisms and become more concentrated as they move from one creature to another. Concentrated residues, even in small amounts can have significant health impacts. Human health concerns thus posed, continue to prompt Governments to develop more stringent regulatory standards. Each country adopts their own regulations and standards for MRL (maximum residue limits) as the usage of pesticides vary from country to country and so do the level of food additives usage. VIMTA has the technical expertise, knowledge and infrastructure to cater to various regulatory requirements and has a large library of about 500 pesticide standards to identify trace level of these pesticides in all types of products. We have been the pioneers in India for pesticide residue testing and have over 25 years of experience in this field. Modern technologies such as triple quadrupole mass spectrometry (GC-MS/MS & LC-MS/MS) and other current analytical techniques are employed for accurate, reliable and speedy results. A continuously strong proficiency testing performance lends great confidence to us on our test methods and results. Thousands of synthetic chemicals over several decades were introduced into commercial use. Many of these chemicals proved beneficial in pest and disease control, crop production, and industrial processing. Some chemicals such as PCBs used in electrical transformers and large capacitors, as hydraulic and heat exchange fluids, and as additives to paints and lubricants; and DDT, which is still used to control mosquitoes that carry malaria in some parts of the world are called unintentionally produced chemicals. These are resultants of some industrial processes and from combustion (for example, municipal and medical waste incineration and backyard burning of trash). These chemicals, have had unforeseen effects on human health and the environment hence are termed hazardous pollutants in environment. VIMTA offers following tests for identification of pollutants as per USEPA and APHA procedures. VIMTA is pioneer in India to setup ultra trace lab for testing of Dioxins and Furans using HR-GCMS technology. Food additives added to food for preservation, flavor, or appearance is a centuries old practice. Today, there are thousands of food additives found in foods, and the safety risk they pose for consumer health is a concern. Regulators of most countries, including India, have laid down specifications for thousands of food additives. All these regulations are concerned about the quantity of the food additive added, purity and quality of it. VIMTA offers services to estimate additive concentration in food as well as quality of raw material (food additive). A food adulterant is any material which is added to food or any substance which adversely affects the nature, substance and quality of the food. Food adulteration takes into account not only the intentional addition or substitution or abstraction of substances which adversely affect the nature, substances and quality of foods, but also their incidental contamination during the period of growth, harvesting, storage, processing, transport and distribution. Although simple forms of adulteration like addition of water to milk and coloured starch to turmeric are still prevalent, newer forms and types of adulteration are emerging such as urea in puffed rice to improve texture; injecting colour into poor quality fruits and vegetables; addition of urea, sodium carbonate, sodium hydroxide, formaldehyde and hydrogen peroxide to increase shelf life of milk, etc. There are many adulterants which might prove to be a hazard to our health especially if consumed over a long period of time. VIMTA offers the following tests in identifying adulterants in various foods. Milk Formalin, boric acid, hydrogen peroxide, melamine, antibiotics residues, pesticide residues, neutralizers like sodium bi- carbonate, added urea, added sugar, starch. Ghee, Vanaspati Extraneous colour, animal body fat, hydrogenated vegetable oils, excessive moisture. Edible oils Castor oil, mineral oil, argemone oil, sesame oil, cotton seed oil, linseed oil, kanjara oil, kusum oil, oil soluble colours, aflatoxins, pesticide residues, and cheaper vegetable oils. Spices Non- permitted colours (Sudan red, malachite green, Rhodamine B), mineral oil coating, husk starch, foreign seeds/ resins, extraneous matter. Non alcoholic beverages Saccharin, dulcin, brominates vegetable oil, non permitted colours, and excessive permitted colours. Confectionery, sweets, savouries Non- permitted colours, aluminium foil, permitted colour more than prescribed limit. Coffee Chicory, date or tamarind seeds, artificial colour. Tea Colour, iron filings, foreign leaves. Cereals and their products Fungal infestation, pesticide residues, sand, dirt, foreign starch, powdered chalk, iron filings. The major concern all over the world for food and feed products of animal origin including aquaculture products aquaculture products is the presence of residues of veterinary medicinal products. They pose various health risks if present more than MRL (Maximum Residue limits). VIMTA offers comprehensive analytical testing services for following groups. VIMTA offers comprehensive analytical testing services for following group of Vitamins. VIMTA offers comprehensive analytical testing services for following trace minerals and metals. Food Allergen labeling is an important requirement especially for food exports into highly regulated markets such as US, Europe, Australia, Japan, Middle East et al. Typically, food allergen labeling requires to identify in plain English the presence of ingredients that contain protein derived from milk, eggs, fish, crustacean shellfish, tree nuts, peanuts, wheat, or soybeans in the list of ingredients. VIMTA offers comprehensive analytical testing services for the following food allergens. Modern biotechnology, involving the use of recombinant DNA (rDNA) technologies, also known as genetic engineering, has emerged as a powerful tool with numerous potential applications in healthcare and agriculture sector. New plant varieties developed using rDNA techniques, commonly referred to as genetically engineered (GE), genetically modified (GM) or transgenic plants, have been and are being developed with the aim of enhancing productivity; decreasing dependence on the use of agricultural chemicals; and improving the nutritional value of foods and livestock feeds. As more GE plants are released and the resultant food products become commercially available, concerns have been expressed about their safety. Most packaged foods and beverages are labeled with a 'use by' or a 'best by' date to ensure consumer safety and product quality. 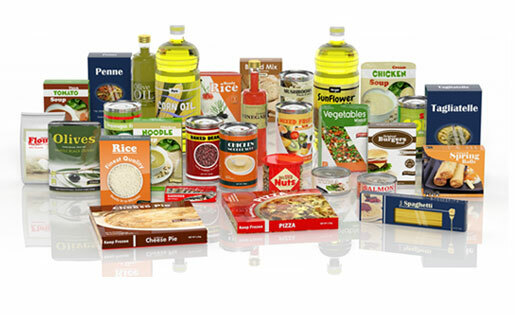 Determining product shelf life based on scientifically sound and reliable data, is critical for quality and safety purposes, additionally there are benefits for the manufacturers such as protecting their brand, avoiding consumer litigations, avoiding product recalls and rejections, and associated economic losses. Companies want their products to maintain high quality till the end of a product's shelf life as when the product is fresh. Setting shelf life dates can be challenging for food scientists as many factors need to be considered, including microbial growth, sensory deterioration and nutritional degradation. A well designed shelf life study results can provide needed input to help make the quality and business decision of choosing a shelf life period. VIMTA has a large fleet of validated temperature and humidity controlled chambers to design and conduct product specific, customized, shelf life studies. In addition to the various testing services mentioned earlier, we offer few specialized tests. VIMTA works as if we were an extended arm of our customer-partner! ISO / IEC 17025 – 2005 compliant. For contact address click here.